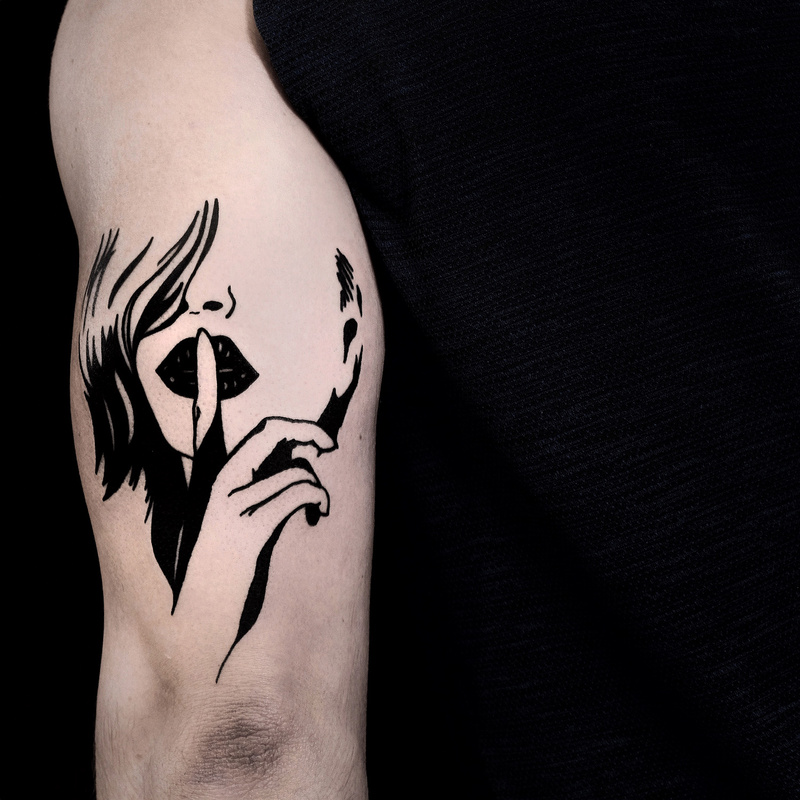 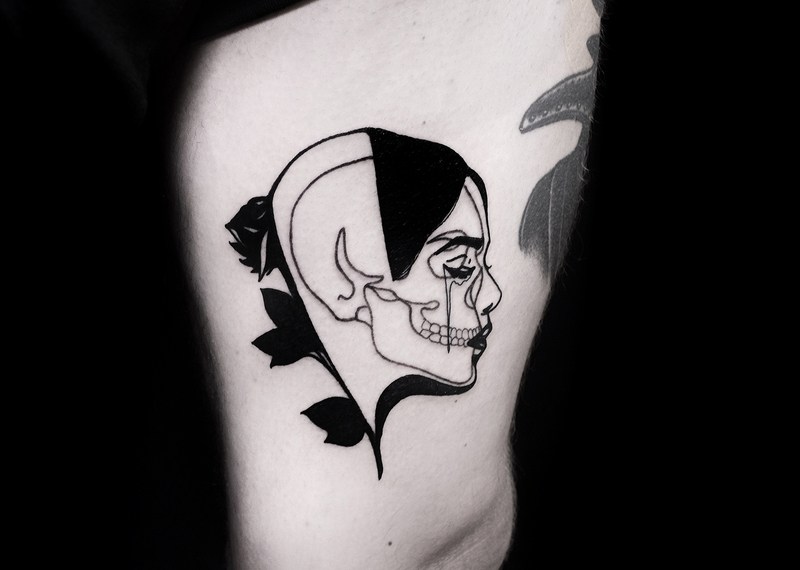 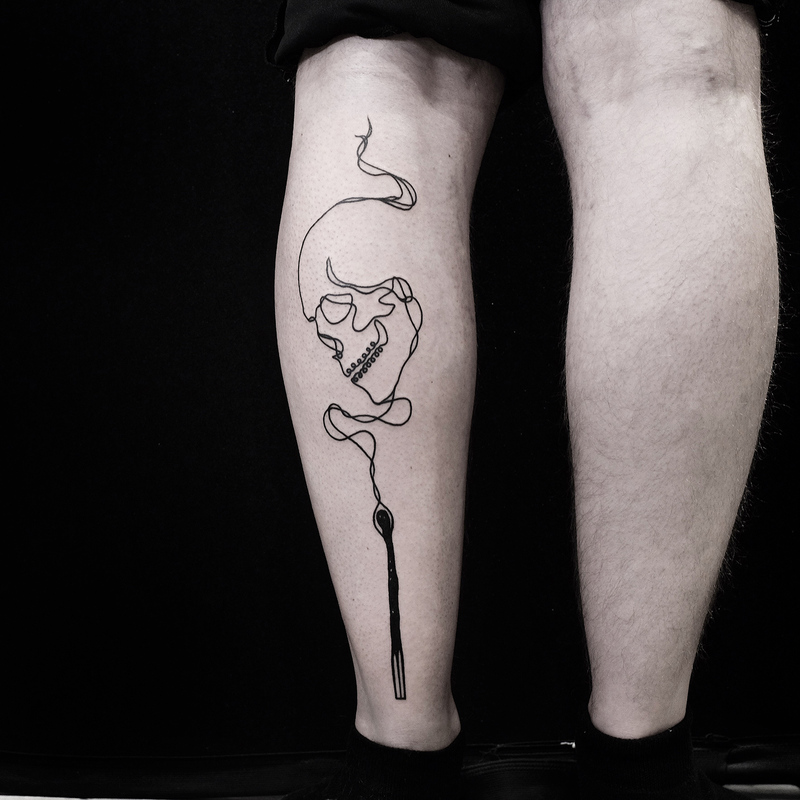 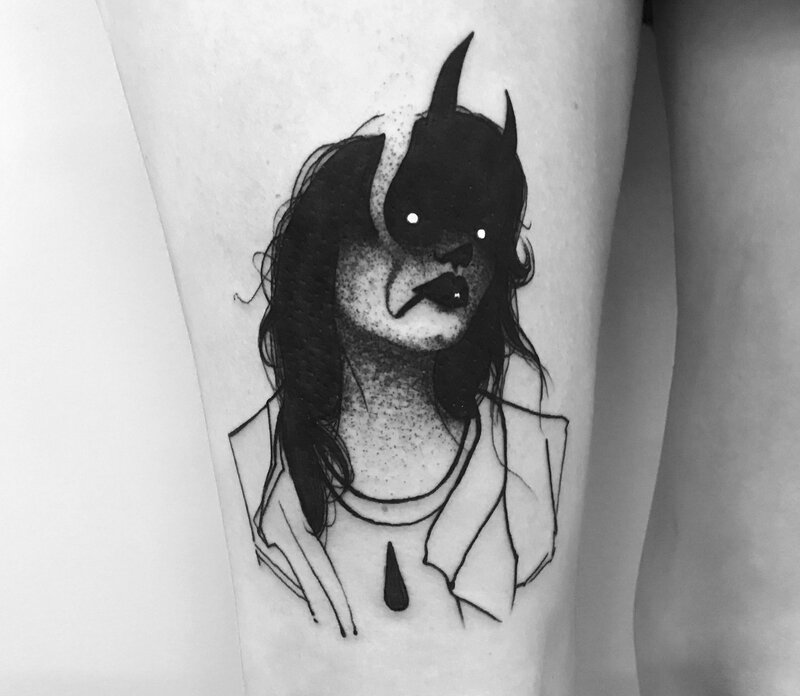 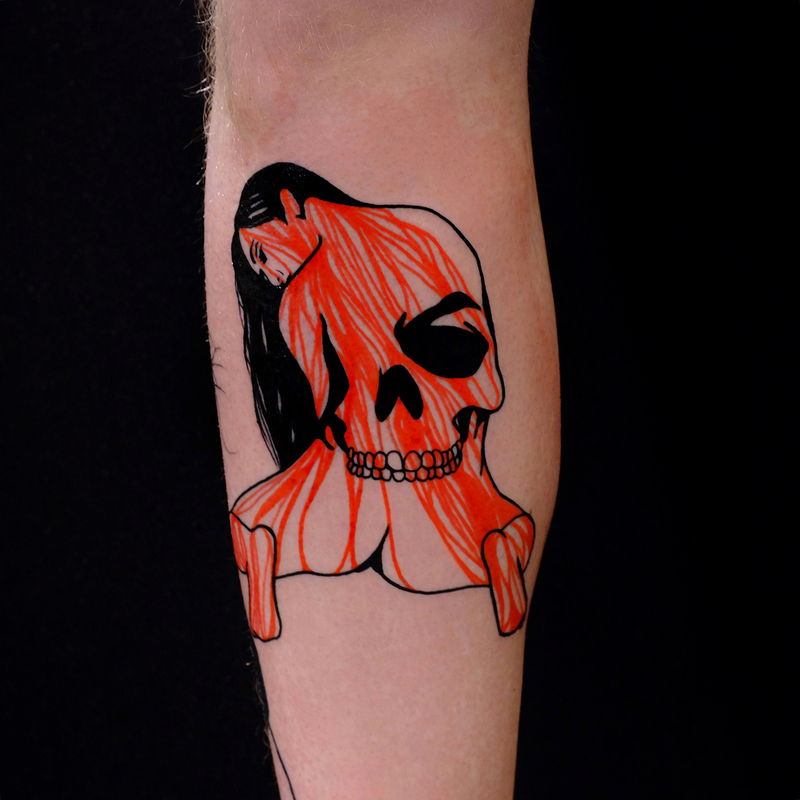 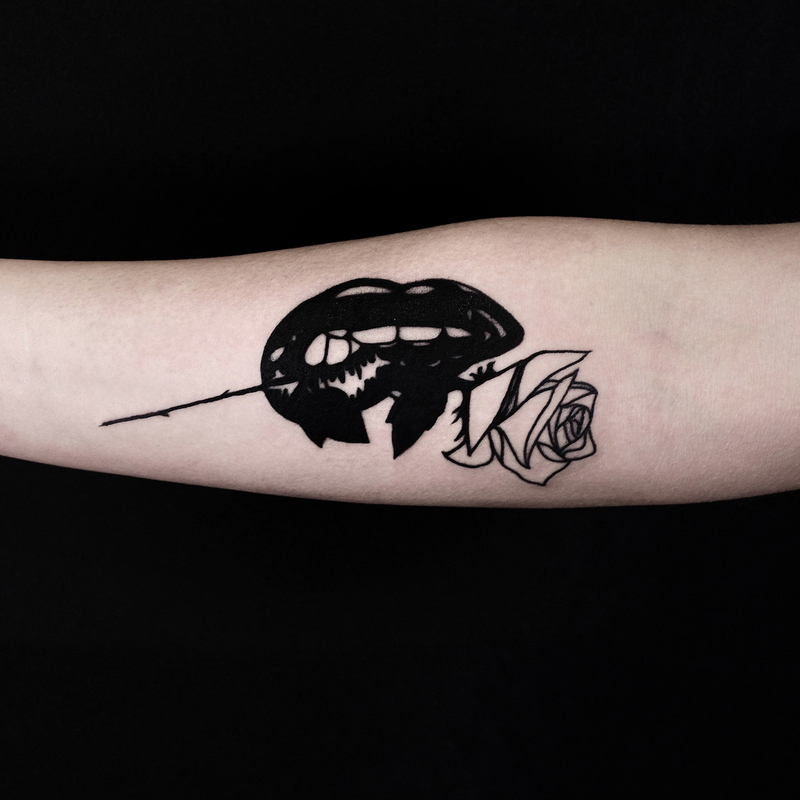 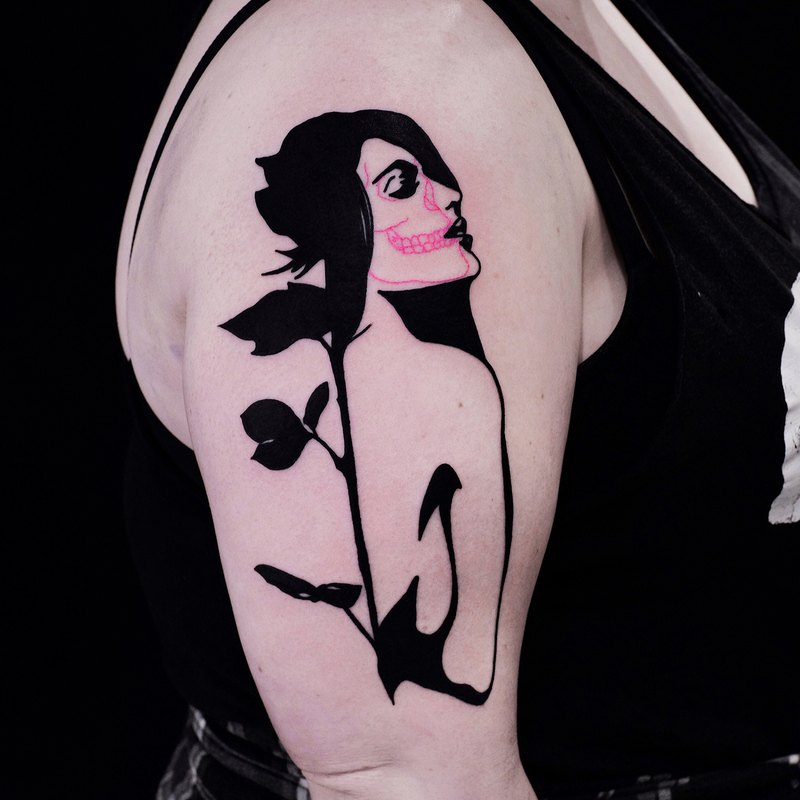 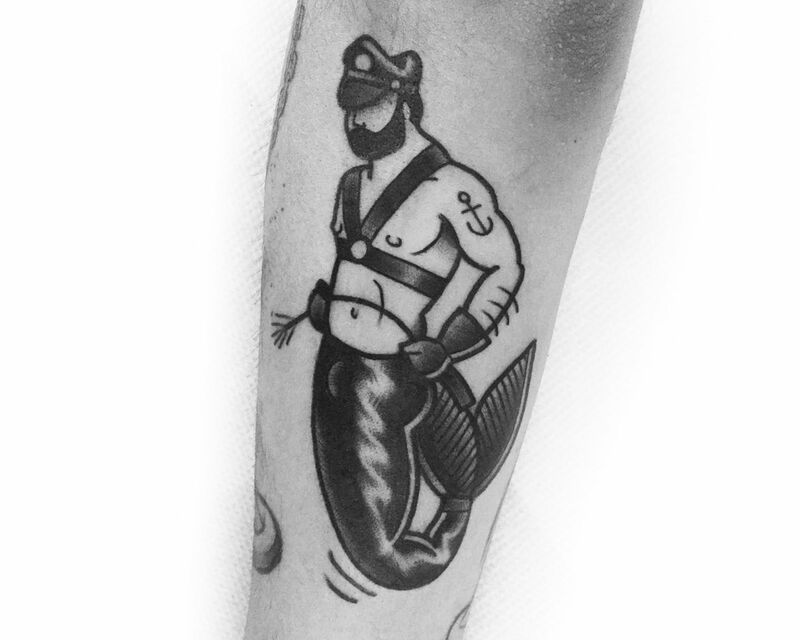 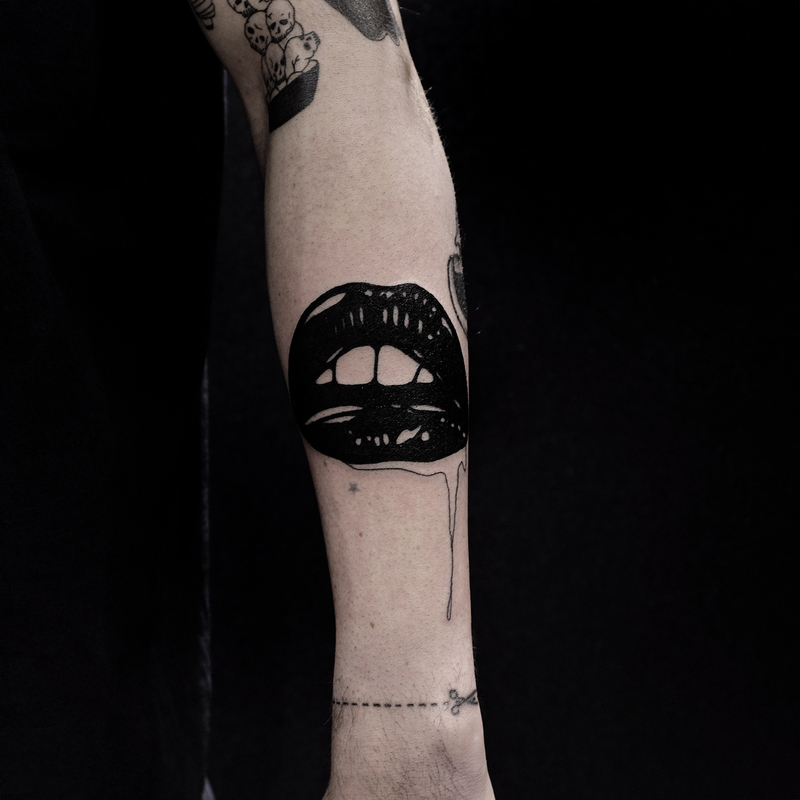 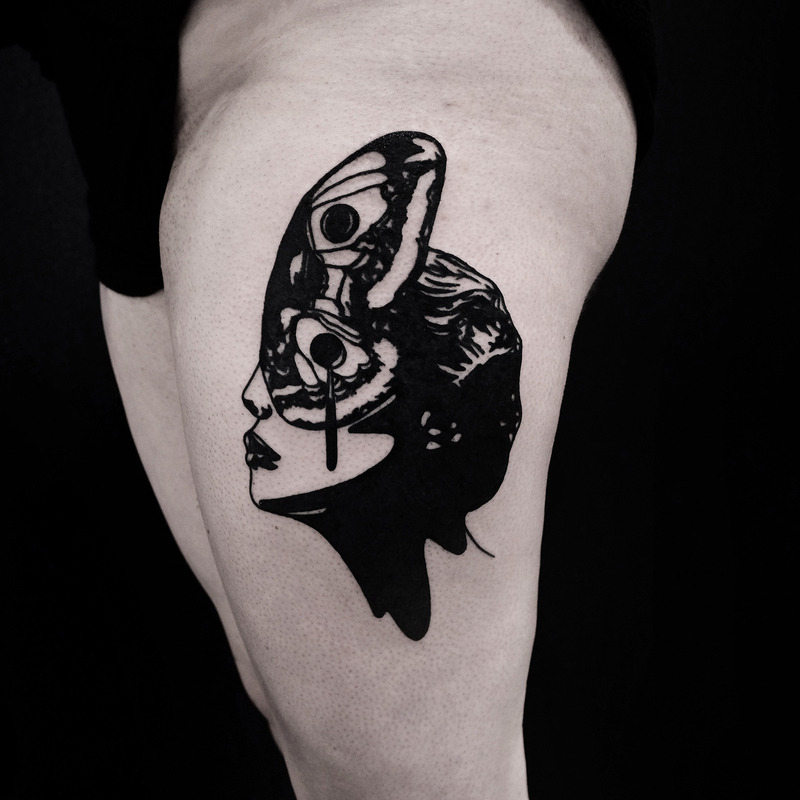 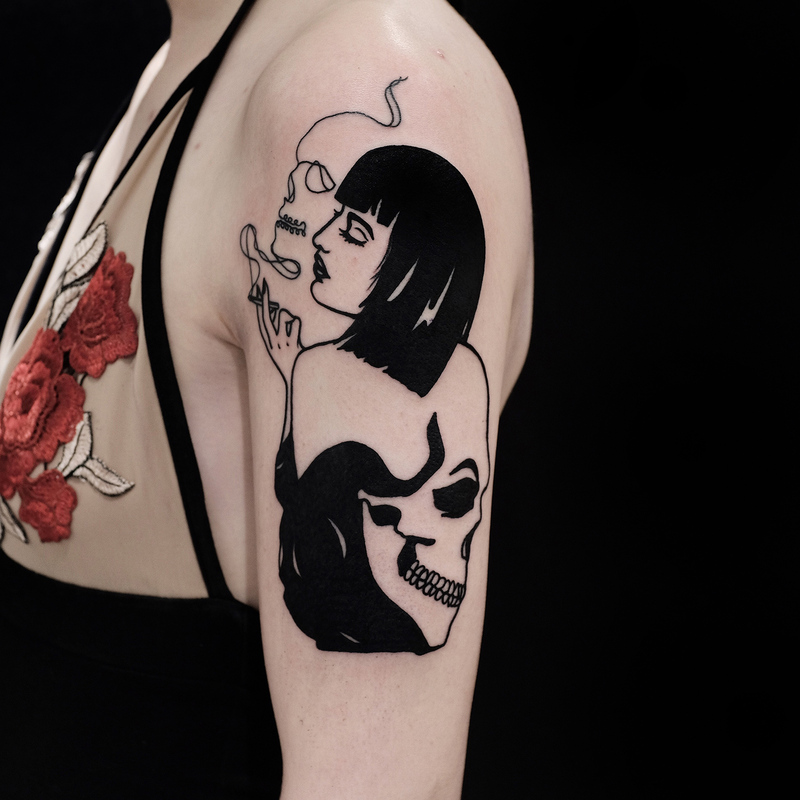 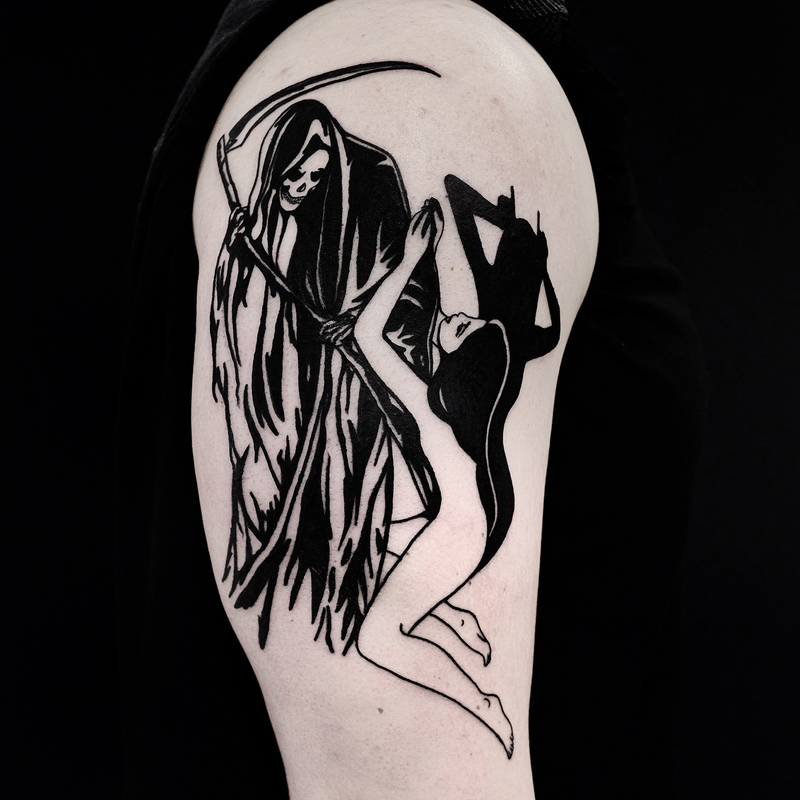 Love and death are familiar bedfellows in the stylish, sensual tattoos of Rosario (@thewolfrosario). 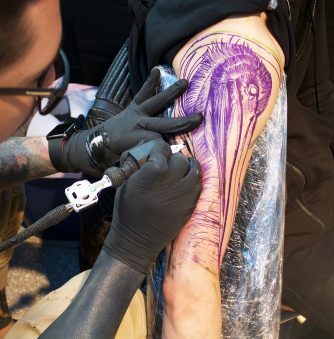 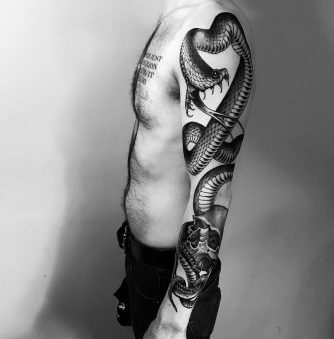 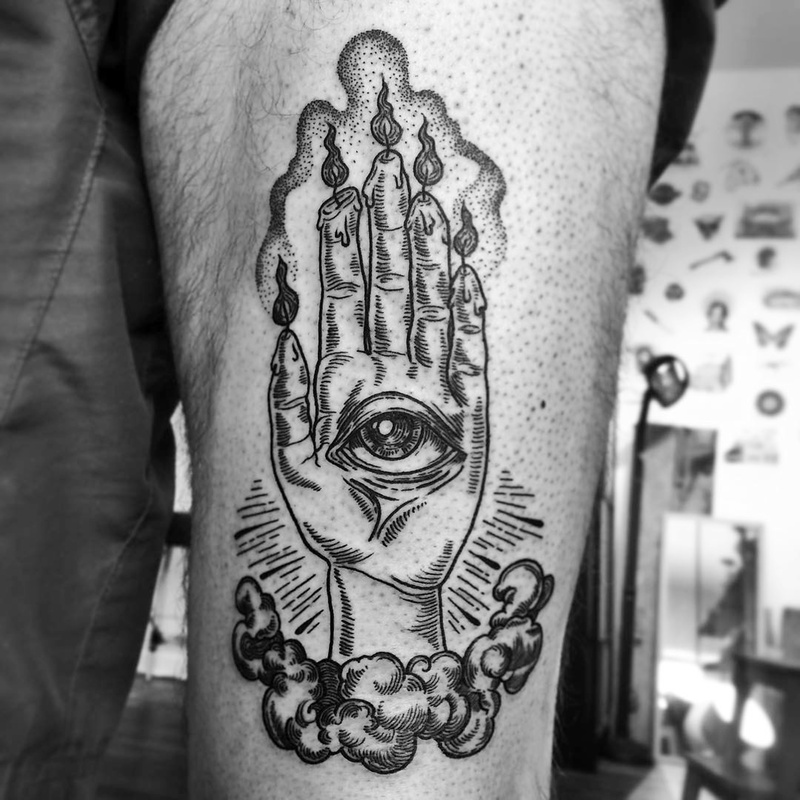 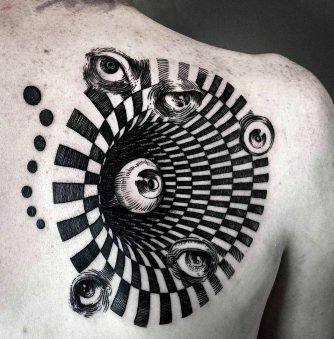 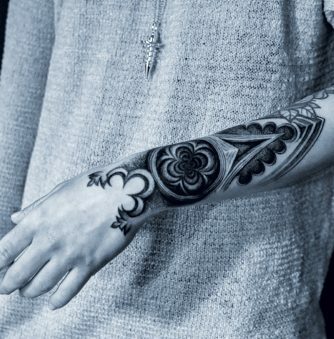 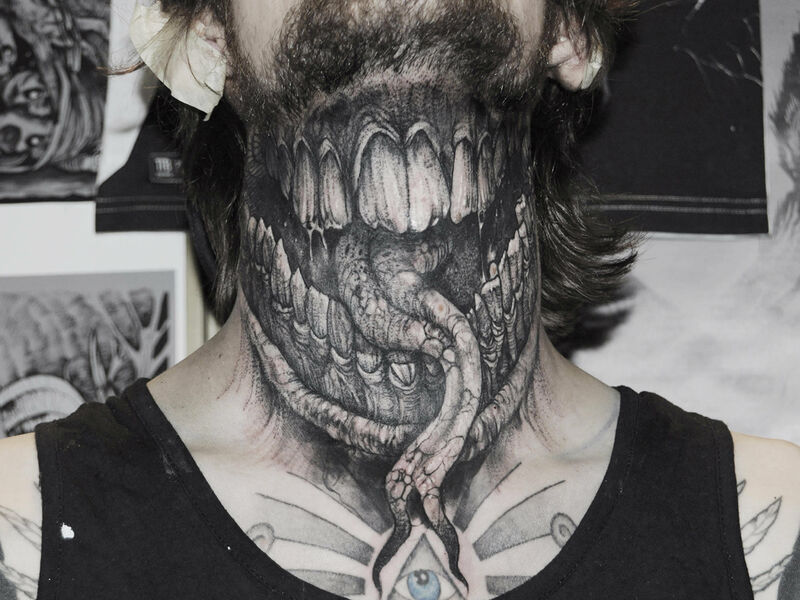 Currently working out of Black Widow Tattoo in Toronto, Rosario specializes in blackwork, and over the course of his 10+ years of tattooing has gained a reputation for his original horror flash. 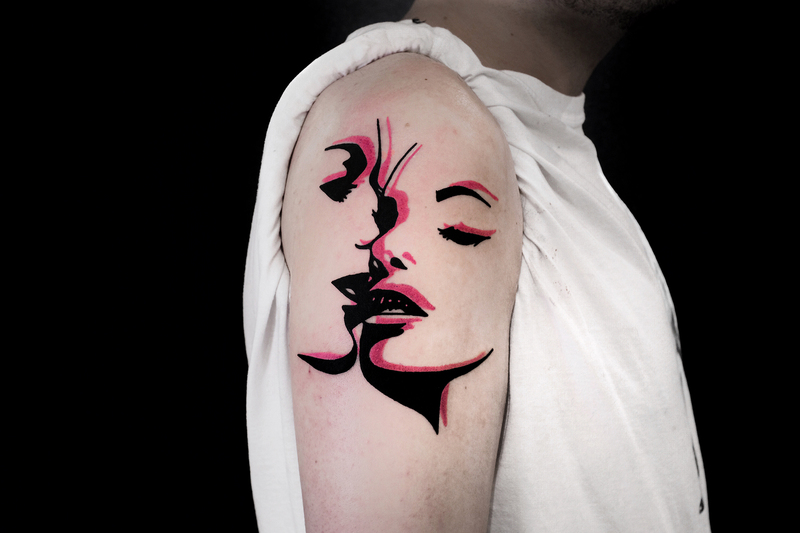 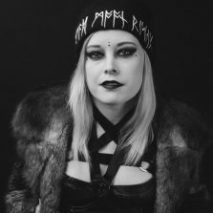 Retro horror tropes (e.g., big knives, bloodbaths, and memories of the Satanic Panic) are remixed in a minimalist, pop-art style; occasionally, overlapping neon outlines are added, creating a tripped-out double-vision vibrating with eros or fear (or both). 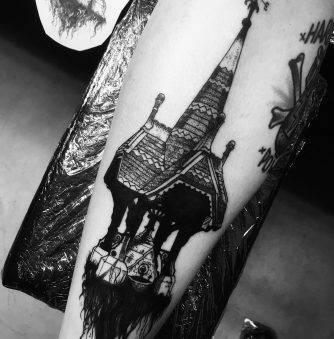 Follow Rosario on Instagram for a steady stream of gorgeous high-fashion horror.